Food & Snacks Snacks, Crackers & Chips Chips, Popcorn & Pretzels Vegetable & Kale Chips Healthy Crunch Kale Chips Say Cheeze! 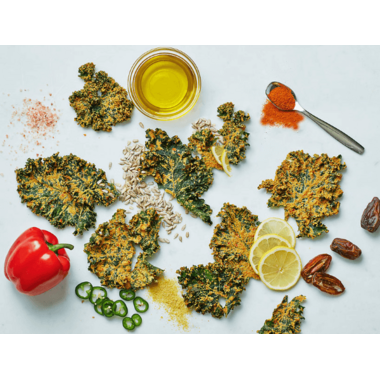 Healthy Crunch Kale Chips Say Cheeze! This is a version of a nacho flavour with a little jalapeno kick. A zesty cheezy flavour without the dairy. These kale chips are super deliciously crunch and are BIG chips, are BIG on Flavour, BIG on crunch, but made in small batches. Ingredients: Kale*, red bell peppers*, sunflower seeds*, nutritional yeast, lemon juice*, extra virgin olive oil*, jalapeños peppers*, date paste*, Himalayan salt*, cayenne pepper*. *Organic Ingredients. 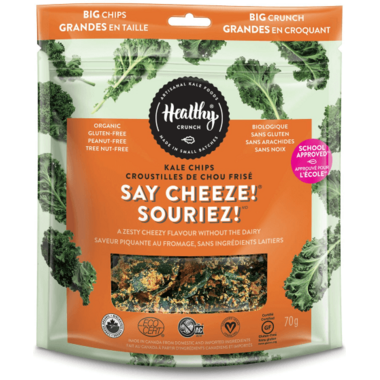 Customer Reviews for Healthy Crunch Kale Chips Say Cheeze! 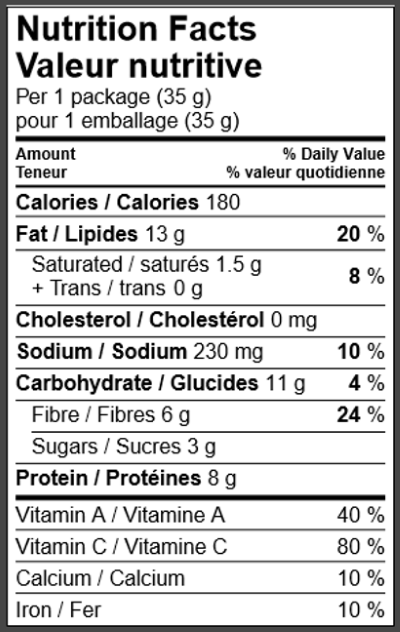 My favourite brand and flavour of kale chips. Definitely recommend if you are looking for a clean, but satisfying snack.